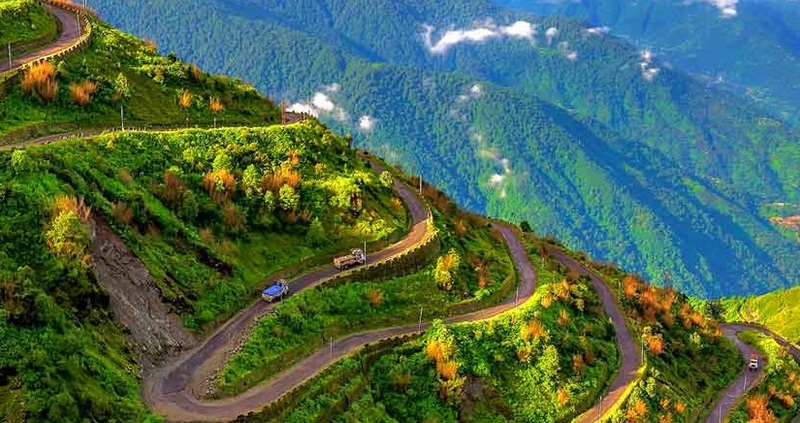 Not everyone planning a Silk Route tour is aware of the fact that this famous route of North Sikkim was once considered to be an extensive trade network connecting India and China through which silk trading happened. North Eastern Sikkim was considered to be the entry point to this road from India. The mesmerising views and the dizzy heights of the Kanchenjunga Hills will give you some memories which you can cherish for years to come. If you are also willing to soak the marvellous beauty of this rough terrain, approach a reliable travel agency offering silk route tour packages. But before you select a suitable tour package, it’s vital that you get all your queries answered. A majority of the travel agencies let you customise the tour to suit your travel needs. Those travelling on a time constraint can opt for a 5 nights and 6 days tour as it is sufficient to travel the silk route. If you have adequate time, plan a 15 to 16 days tour and you can manage time to visit Silk route and also cover Lachung and Lachen. Ask the travel agency to make all the travel arrangements on your behalf. You can also hire a car with a tour guide and driver for the entire tour. It is your responsibility to ensure that the car you are booking has the necessary permit to travel throughout Sikkim and is registered with the Sikkim Tourism. The driver and tour guide you are hiring should also be experienced and reliable. Though there are no grave challenges which will make your journey difficult, the temperature at the Zuluk and Gnathang Valley touches below zero degrees and it might become a bit daunting for your body to adjust. This is why tour guides suggest their tourists to stay in Mankhim or Lava. Though there are numerous places to visit during your Silk Route tour, don’t forget to include the New Baba Mandir, Old Baba Mandir, Tukla Valley, Ice Hockey Field, Tsomgo lake, Jelepla Pass, Menmecho Lake, Kupup Lake, Four Lake Point and the Yak Golf Course in your trip itinerary. If you are willing to enhance the enjoyment quotient of your Silk Route tour, spend a night or two in the West Bengal forest bungalow at Lava. A fire camp can also be arranged by the forest officials on request. The sunrise and sunset at Zuluk and Nanthang Valley respectively is also a treat for the eyes. All these moments will make your tour an amazing experience. Since all your common queries about the Silk Route tour have been answered, it’s time you start looking for a reliable travel agency offering affordable tour packages to Sikkim.